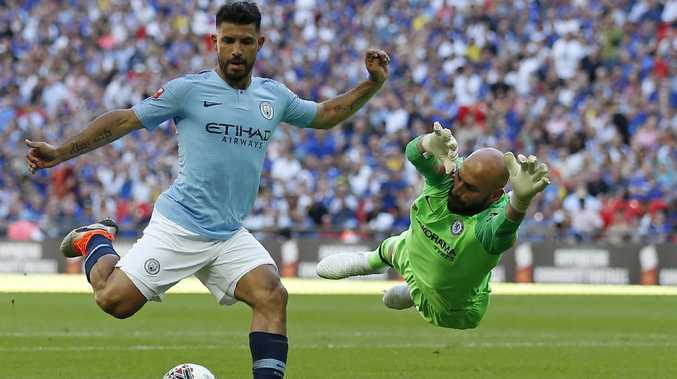 Sergio Aguero scored a double against Chelsea as Manchester City cruised. 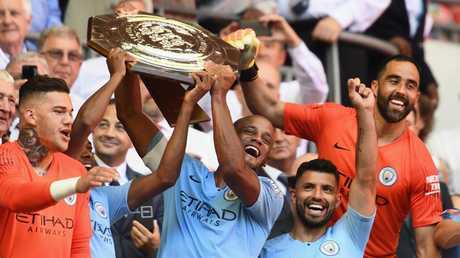 SERGIO Aguero spoiled Chelsea manager Maurizio Sarri's first taste of English football as the Argentine's double gave Manchester City a stylish 2-0 victory in the Community Shield. "It's not easy to play after such a short time. It's complicated for all of them but they are so competitive. My hat's off to them," Guardiola said of his team's quick recovery after the World Cup. Not a bad start to the season for Manchester City. 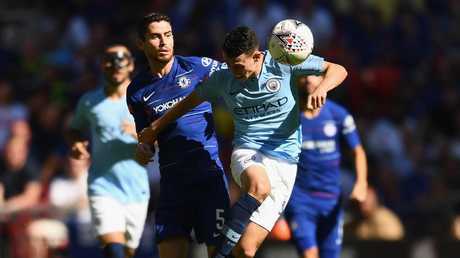 While the Community Shield serves as the curtain raiser to the new season, City and FA Cup holders Chelsea have very different ambitions for the Premier League campaign, which kicks off this weekend. But healing the wounds of Conte's fractious two-year reign won't be easy for Sarri, as this spluttering performance underlined. 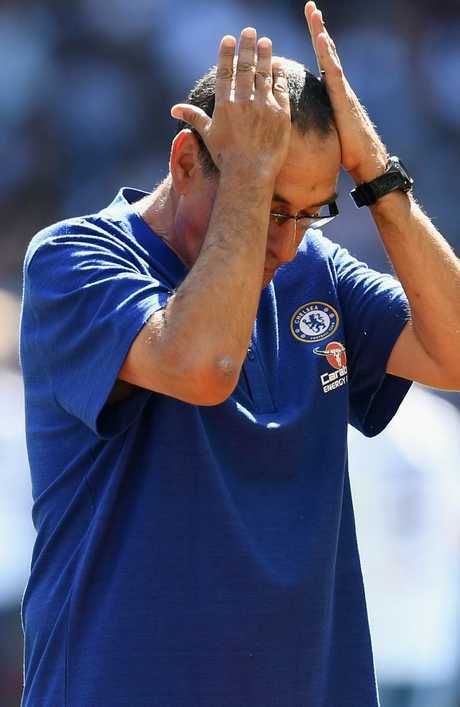 Sarri and Guardiola are close friends and dined together on the eve of the Community Shield, yet this first experience of Chelsea's reduced status left a nasty taste for the Italian. "Today we were not in control of the match. We have a long way to go. We have to work. It's not easy," Sarri said. Maurizio Sarri has a big job in front of him. It was Aguero's 200th City goal, making the Argentina striker the first player to reach that milestone for the Eastlands outfit. Phil Foden impressed for Manchester City.